Some days you already feel like you can’t add in one more stressor to your day. But for kids with a one two punch of sensory issues and anxiety, lots of little stressors can really add up. 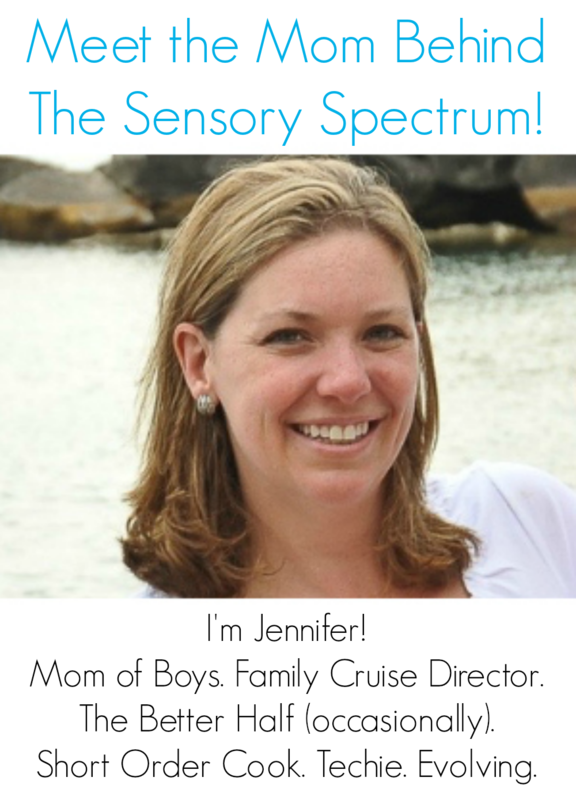 Today we welcome one sensory mom who shares how her family is helping her sensory son with his anxieties. My five year old son, Mr. Sensitive, started Kindergarten this past year. Sensory Processing Disorder, serious anxiety plus Duchenne Muscular Dystrophy made him an “alphabet soup” kid. SPD + DMD + Anxiety= a stressful year in Kindergarten. Mr. Sensitive’s sensory issues are exacerbated by his anxiety. The more worried he is, the more his sensory problems contribute to acting out behavior. If something is overwhelming he yells, throws stuff and bangs into people and furniture. Imagine you are holding a coffee cup and someone dumps in three sensory problems for you to deal with. Depending on the size of the cup and the size of the problems, you might be able to keep everything under control and inside the cup. If you add two more sensory problems you might have to work really hard to keep that cup from spilling over or dropping out of your hands. The cup might shake. But if you try really hard you might be able to keep everything in the cup for a little bit. Then you’d need a break. But imagine you add one big anxiety problem to your cup. Your cup was already full, now it overflows everywhere. This is what anxiety does, reduces our ability to deal with the problems in our hands (or coffee cup). What would help? Dumping out some of those sensory problems, to start. This would mean doing calming sensory activities instead (in my son’s case, he loves running his hands under water). We could avoid some of the sensory problems. No shirts with tags, please. We can also reduce the anxiety by following routines and working to reduce stress. Imagine you are holding a coffee cup and someone dumps in three sensory problems for you to deal with. Actually, his behaviour can paralyze the entire household. He’s anxious on a good day, and can drive a parent bonkers by simultaneously spiraling around our home, throwing toys, grabbing parents or siblings and shouting intermittently. All this on the way to getting ready for school. I’ve described Mr. Sensitive as a small, anxious tornado circling through our lives. Imagine trying to get three kids under five and at least one adult dressed and out the door, while dealing with a small, anxious tornado. He’s also a highly intelligent, small, anxious tornado who is very creative. Nothing is ever what it seems. Serving platters become shields. Machines are made out of paper clips, kitchen tongs and magnets. All before 7:30 a.m.
Oh, and you have to dress the tornado and brush his teeth. These are huge sensory and transition triggers for behavior. Remember, the bus arrives at 8:00 a.m. Good luck. So, to deal with Mr. Sensitive’s behaviour we’ve sought out a behaviour therapist and social worker. The social worker worked with Mr. Sensitive to help him identify when he is feeling anxious. The behaviour therapist gave Hubby and I some ideas for preventing Mr. Sensitive from spiraling out of control, such as more positive sensory activities and “special play time” (which I will describe below). We did a sensory integration assessment through an experienced occupational therapist, who pointed out that Mr. 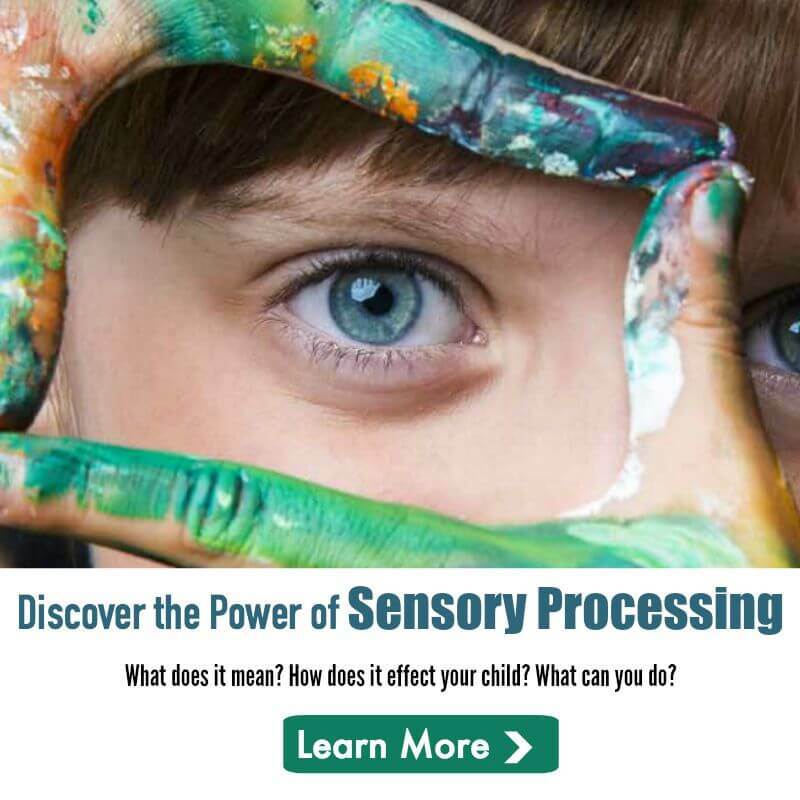 Sensitive is nearly the poster child for sensory processing disorder. He is a sensory paradox. The world is usually too loud, except when he’s the one making the noise. The world hurts too much, except when he’s the one trickling sand through his fingers or chewing on metal forks. He gets “lost” in crowded and messy rooms, and either hides or clings and whines loudly. Thank goodness food is not a hugeissue (there are no extreme texture or taste issues), although Mr. Sensitive is a messy eater and does not feel food on his face. Hubby and I accept that Mr. Sensitive will eat spaghetti with his hands, and then help him wash them afterward. We’ve also had a few occupational therapists involved who gave all kinds of sensory processing disorder advice. Large bean bag chair? Check. Small cozy tent? Check. Outings to the park to play on the swings? Check. Dietary overhaul, focusing on protein and removing any dyes and refined sugars? Check. Water play? Check. Noise cancelling headphones? Check. The list goes on. One recent behavioural recommendation is to do at least 15 minutes of special play time a day. This means one-on-one play time where the adult follows the child’s lead and actually listens to the child. This sounds simple, but in a crazy-busy household with three kids under five years, Mr. Sensitive has been missing individual attention. Of all the techniques we’ve tried, special play time has shown the most improvement in reducing Mr. Sensitive’s anxiety and improving his overall behavior. We simply follow his interests. It’s a time to listen to him and answer the million questions floating in his head. So our family jumped into special play time. I bought a 1700 piece set of Legos for Hubby and Mr. Sensitive to play with together. After listening to them argue about how to follow the directions, where wheels should go and how Mr. Sensitive was messing up Hubby’s Lego creations, I then confiscated the 1700 piece Lego set. I told Hubby and Mr. Sensitive when they’re ready to play together, I will return the Legos. Right now, the Lego set is now sitting on top of my china cabinet. They can play with it together, so long as I’m around to supervise. To my effort toward special play time, Mr. Sensitive and I have “date nights.” This is simply one-on-one time with me while we run errands together and take time to follow his lead. Our dates usually include fancy coffee for me and hot chocolate for him or ice cream for both of us. So far I think I’ve gained about five pounds in our date night regime. I have noticed a huge reduction in Mr. Sensitive’s anxiety and overall improvement in behaviour in the day following date night. He’s calmer and less reactive. But then, so am I.